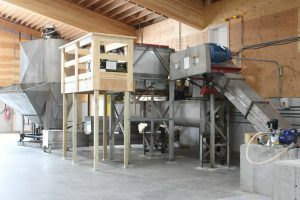 Sackett-Waconia Continuous Mixers provide the high-quality blends you expect in the convenience of a horizontal layout. Our continuous mixers are constructed of 304 stainless steel plate for durability, feature dodge bearings and running gear, and can be supplied with either carbon or stainless flights. Our adjustable retarding paddles create the flexibility you need to keep up with changing additives and nutrient requirements. 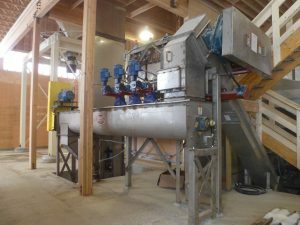 Sackett-Waconia continuous mixers are ideal for mixing either powders or liquid additives and are supplied with manifolds or inlets engineered to provide excellent additive coverage for quality blends.